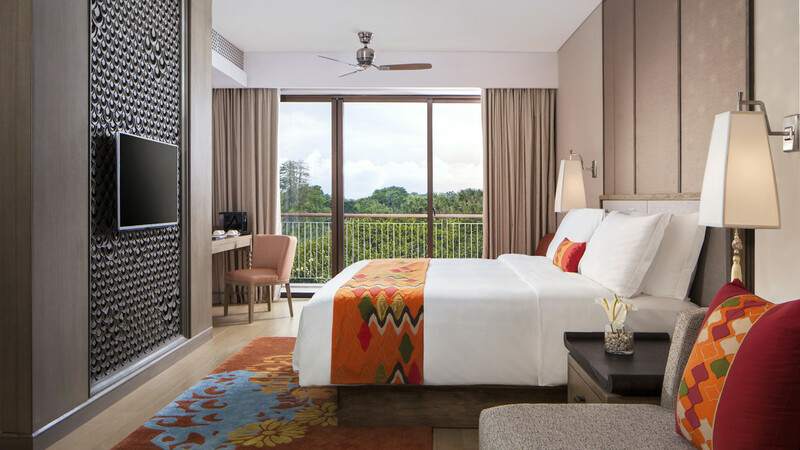 Soft sand, mesmerising ocean vistas and stunning tropical scenery are all waiting to be experienced during an incredible island escape at the 5-star Movenpick Resort and Spa Jimbaran Bali. With beautiful rooms and suites, a stunning swimming pool and revitalising spa treatments to enjoy, a stay at this magnificent sanctuary is pure bliss whatever your holiday needs. 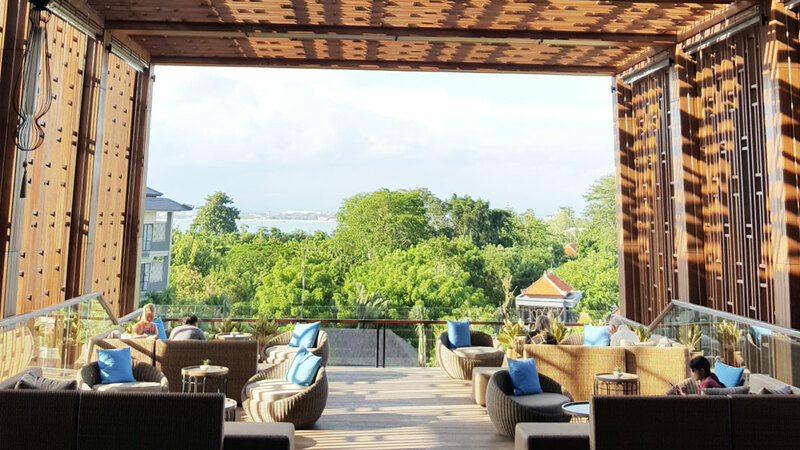 Prepare to experience the very best of the magical island of Bali at the luxurious Movenpick Resort and Spa Jimbaran Bali. Jimbaran beach is approximately 500m from the hotel. There's a selection of restaurants and bars by the beach in Jimbaran, about 650m away. For a change of scene, Nusa Dua Beach is about 12km away, or Garuda Wisnu Kencana Cultural Park is just 4km away. 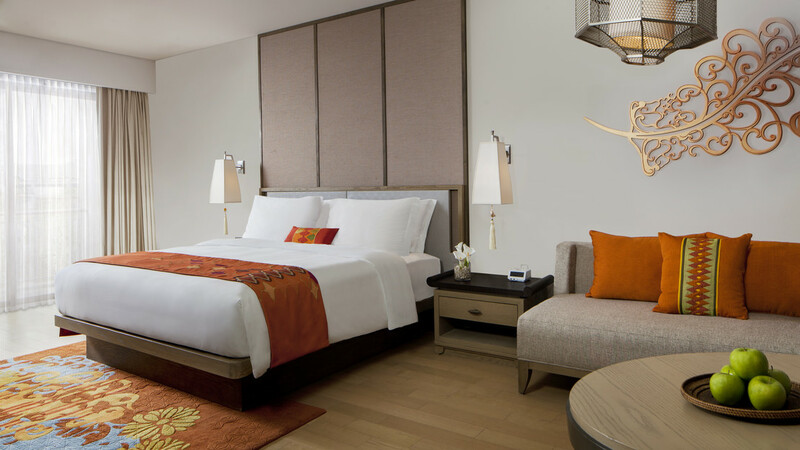 Ngurah Rai International Airport, also known as Denpasar International is approximately 9km away from Movenpick Resort and Spa Jimbaran Bali. Relax and unwind at the end of the day in a luxurious Classic Room. 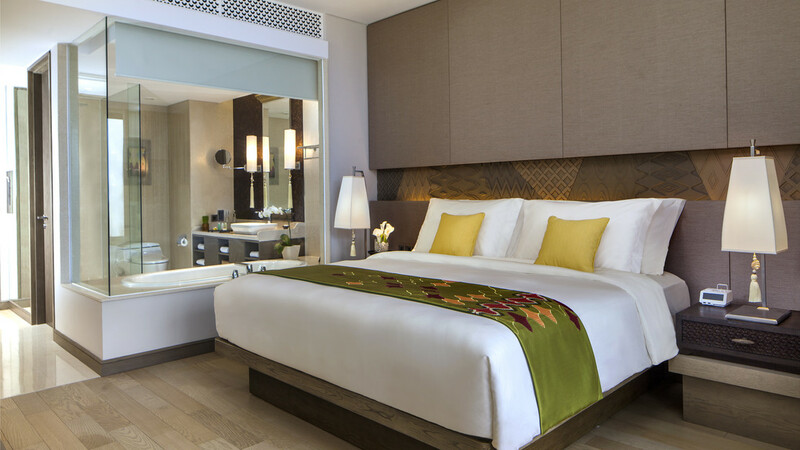 Featuring an array of modern amenities, these stylish rooms are ideal for a couple or small family. Overlooking the gardens and pool this is a great room for a small family or couple. 34 square metres features a private patio or balcony is equipped with all the modern amenities. Stunning views of the pool and garden can be enjoyed from this plush junior suite with a living space of 52 square metres. A separate seating area, interconnecting rooms and all of the standard amenities make this fabulous space ideal for families. 56 square metres is incorporated in to a luxurious loft area categorised especially as Family Rooms. Relax with dual level flooring to add extra privacy for parents and children. There’s also complimentary access to the kids’ club. Revel in 68 square metres of living space in this luxury pool suite with private balcony and gorgeous pool views. 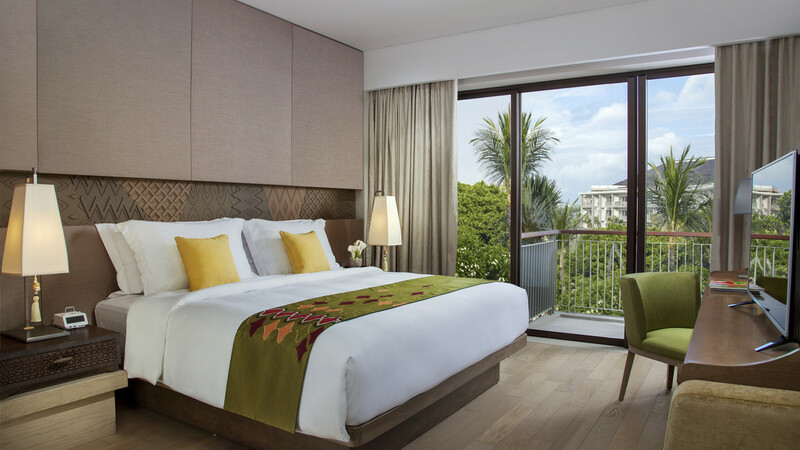 Epitomising Movenpick Jimbaran Beach Resort’s luxury is this stunning pool suite. Breathtaking views of Jimbaran Bay and the resort’s multi-level pool can be enjoyed from the private balcony of this fabulous space measuring in at 108 square metres. Enjoy decadent privileges such as a private pool, plush linens and a fabulous interior décor. A fantastic array of mouth-watering cuisine is available throughout the day at Movenpick Jimbaran beach. Holidays to this part of Bali are renowned for fresh cuisine in exquisite settings and here in-resort is no less evident. Relax in the vicinity of the Sky Lounge & Bar located on the rooftop or in the trendy New York-style venue Gramercy Park. Prepare for a vibrant experience with live cooking stations, a Robata Grill and international aà la carte. Garden views and a decadent indoor setting, Katha Lounge is the perfect stop off for afternoon teas, coffees and pastries. This exciting and child-friendly pool bar serves delicious pizzas and healthy food choices. This Samasta Lifestyle Village Café serves premium teas and artisan ice creams along with sweet treats such as pastries and cakes and a creêpe station-a real hit with kiddies. This is a sophisticated rooftop sky bar with Peruvian –Japanese cuisine setting the trend. Follow on with a visit to Gramercy Park.